Given that we were going to be in Washington DC for the National Science Foundation award ceremony and IGERT workshop, Vid Petrovic, David V., and myself took the opportunity to continue our research by undertaking a madcap dash one day survey of several of the Smithsonian museums and the National Academy of Sciences headquarters. 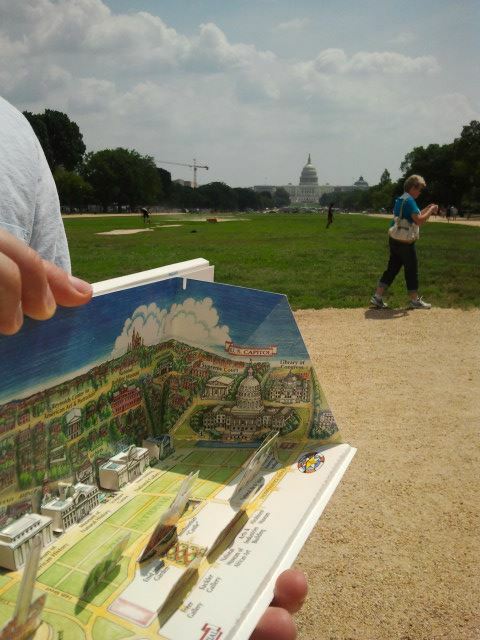 The latter we were invited to by Bruce Darling, executive officer of the National Academy of Sciences for a tour and to check out their augmented reality interface for the delectably delicious dome artwork of Hildreth Meiere in the main foyer of their headquarters. Following on the heels of our morning visit to the National Academy of Sciences, we hit the Mall for a meander through the Smithsonian’s Castle, the Smithsonian National History Museum, and the Smithsonian Air and Space Museum- all with an eye to how the museum was utilizing technology to relay details about its displays- with particular emphasis on what field and processing metadata makes its way into digital displays (if any). Of particular note were the Natural History Museum’s new case on the recent discoveries regarding cannibalism at Jamestown. Featuring a blend of traditional static dissemination materials, it also had a screen featuring a permanent loop of a truncated documentary which expanded on the story and the archaeological technologies utilized to discern the story’s existence. 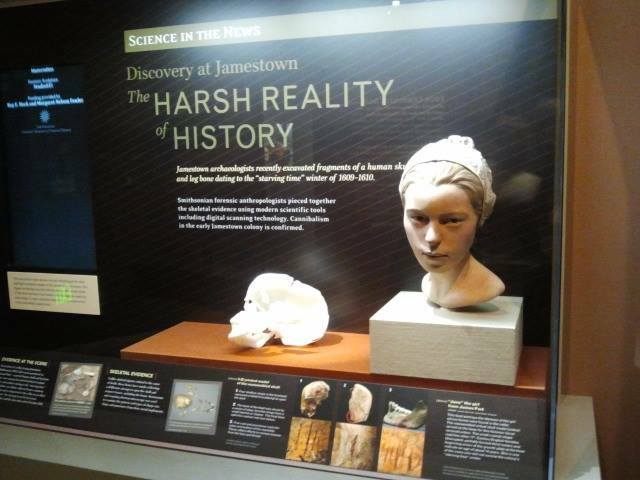 The Harsh Reality of Jamestown display at the Smithsonian Natural History Museum. And the Pioneers of Flight touchscreen interface at the Smithsonian Air and Space Museum, which allows users to casually peruse different levels of details about early aviators at their own discretion. 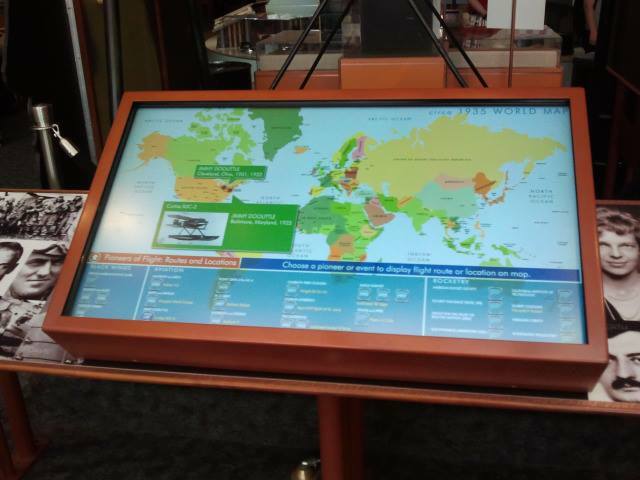 The Pioneers of Aviation touchscreen at the Smithsonian Air and Space Museum. Tagged Air and Space Museum, archaeology, art, Ashley M. Richter, Center of Interdisciplinary Science for Art Architecture and Archaeology, CISA3, computer science, Cultural Heritage, Cultural Heritage Diagnostics, cyberarchaeology, Digital, digital archaeology, digital heritage, Digitization, Education outreach, engineering, Field Data, Meta Data, Museum Interfaces, Museum Technology, Natural History Museum, Open Access, Paradata, Public Engagement, Smithsonian, technology, The Castle, UCSD, University of California San Diego, Vid Petrovic, visualizationBookmark the permalink.